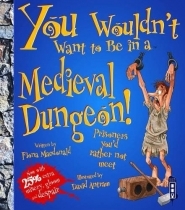 It's the end of the 15th century, and your local castle is looking for a jailer. Are you up to the job? Your charges will include all sorts of people, from hardened criminals to people with mental illnesses, and you wont be expected to treat them kindly. 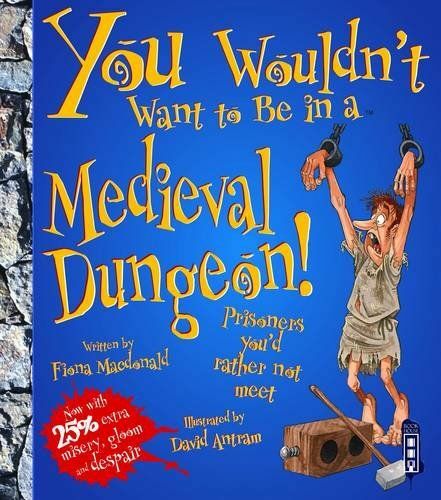 In this brand new extended edition in the popular You Wouldn't Want to Be series, you'll soon find out what it was really like to be in a medieval dungeon! Featuring full-colour illustrations which combine humour and accurate technical detail, this new revised title includes a castle timeline, a guide to spooky castles, and some real-life grisly stories! You Wouldn't Want to Be is a constantly-growing library of over 50 exciting titles which transport the reader to the grisliest times and places in history.